KPMG’s legal services division revenue rose by more than 30 percent in 2018 in a record-setting performance, according to the firm that expects growth to continue in a burgeoning market that’s stoking concerns among traditional law firms about potential competition. Such fast-paced expansion into the legal sector is in line with the three other Big Four accounting firms—Deloitte, EY, and PwC, formerly called PricewaterhouseCoopers. Each has made major inroads into global legal services recently in jurisdictions outside the U.S. where these firms are allowed to practice law. KPMG said in a press release that its legal practice added 20 partners last year, expanding to more than 2,300 legal professionals worldwide. The Big Four differ from most traditional law firms in that they offer many other services to clients aside from just legal advice, often leveraging their capabilities in tax, audit, technology and consulting. The 30 percent growth includes revenue stemming from various legal services offerings, including mergers and acquisitions, tax law, global entity management, compliance matters, and legal tech solutions, Jurg Birri, KPMG’s global head of legal services, told Bloomberg Law in a written statement. KPMG said last month that it had expanded its law offerings to Hong Kong through its new affiliated legal practice, SF Lawyers. KPMG hopes to grow that office to 20 attorneys in its first year. At the same time, the firm expects to open an associated office in Shanghai later in 2019. 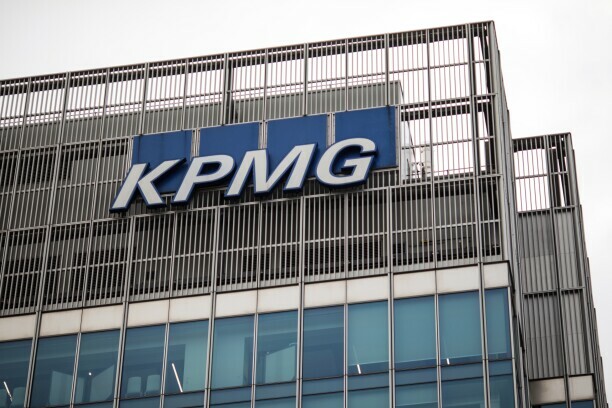 KPMG attributes part of its legal sector progress to the launch of its new Legal Operations and Transformation Services units that aim to assist legal departments in streamlining their operations. That service is available across KPMG’s global network of lawyers and offers departments help with advancing their legal technology and finding proper sourcing for their work. KPMG’s announcement comes as its professional services peers have made similar entrees into legal markets in Asia, South America, and the Middle East. Last September, for example, EY touted its extended legal services reach to more than 2,200 legal practitioners in more than 80 countries. The Big Four are restricted by regulations and state bar rules from opening law offices in the U.S. that serve domestic clients. Yet some have managed to gain a foothold, which has served to stoke concerns among U.S. law firms about the possibility they may someday face tough competition from companies with significant size, international scope, advanced technology, and revenue advantages. For example, PwC opened ILC Legal in Washington on 2017. That firm’s five lawyers—referred to on the firm’s website as partners and “special legal consultants"—only advise clients on international matters, and do not offer clients U.S. legal consultation.